HMO Enrollment Changes for adult Medicaid members getting Supplemental Security Income (SSI). According to DHS, “Starting in January 2018, in order to provide high quality care for adult Wisconsin Medicaid members, certain Supplemental Security Income (SSI) members must enroll in an HMO of the member’s choice. Members affected by this change will get a letter in the mail.” If you do not choose an SSI HMO, one will be chosen for you. 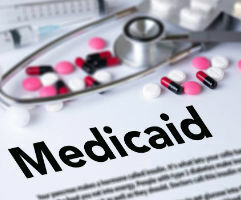 Members currently enrolled in an SSI HMO, children under age 18 with Medicaid SSI, tribal members, and members dually enrolled in Medicare are not affected by these changes. If you have questions about this process, call the HMO enrollment specialist at 1-800-291-2002. HMO enrollment will be done by region with the last region enrolling by June 2018. See the Wisconsin DHS Website to learn more.